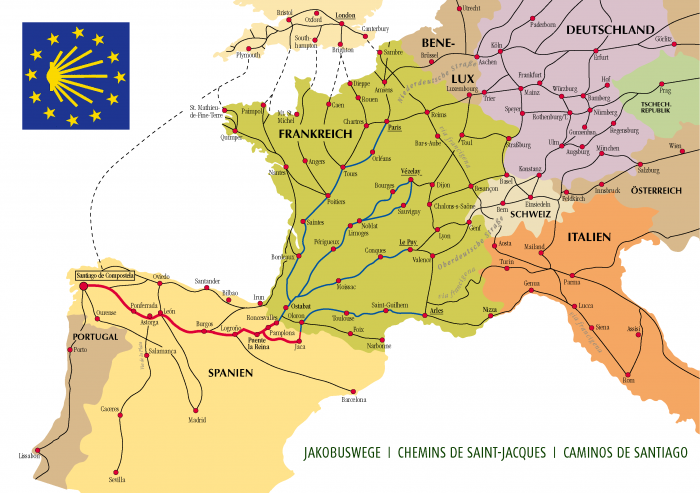 Galicia is found on the North-West corner or Spain. The Romans called it Finnisterre (End of the World) and for them it was true. 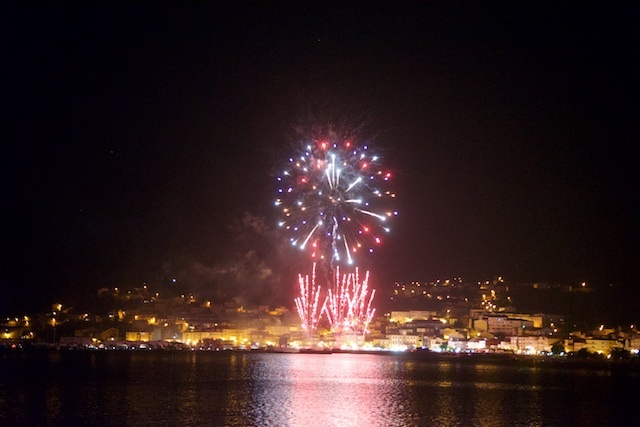 Galicia is Celtic by culture and is, similar to Bretagne in France, closely related to the Celtic countries being Scotland, Ireland, Cornwall, Bretagne and not least Galicia. 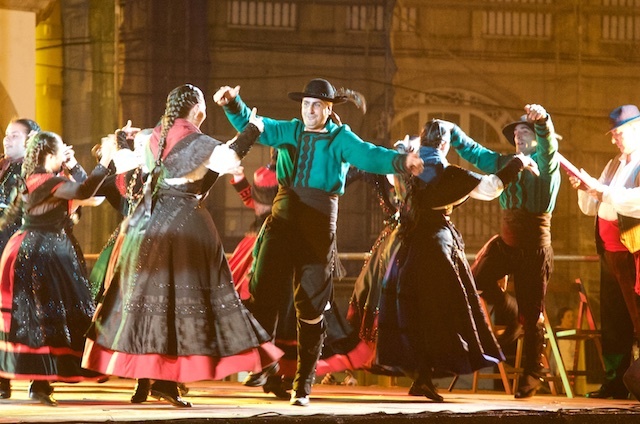 Bag pipe, for instance, is found in Galician folk music which has more to do with Scotland than Spain. 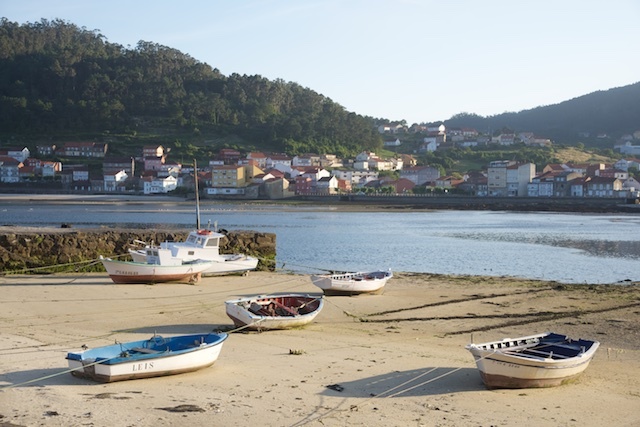 Galicia is a proof of that the Sea unites people and Terra Frima – land – used to divide them. 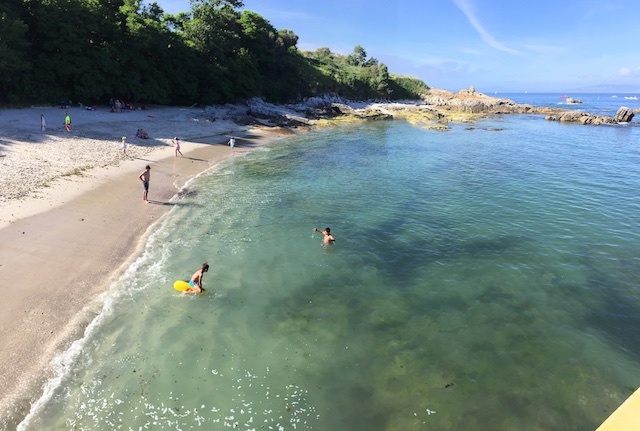 Galicia is, obviously, today part of Spain and yet, so different from what we usually know from the inland or the Mediterranean coast. 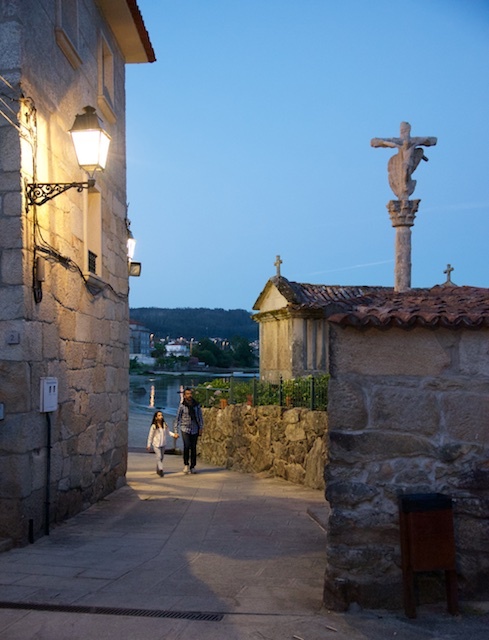 Not many tourists from abroad get here, with the exception of the many pilgrims walking the Way of Saint James – the “Camino de Santiago” – leading from all over Europe to the pilgrimage capital of Santiago do Compostela. 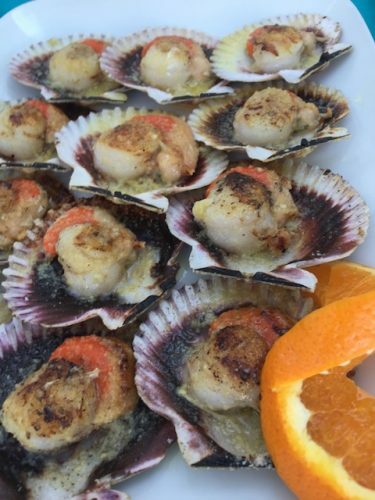 The Symbol for the pilgrimage, The Shell of Saint James, served as Scallops in one of the many great seafood restaurants in Galicia. 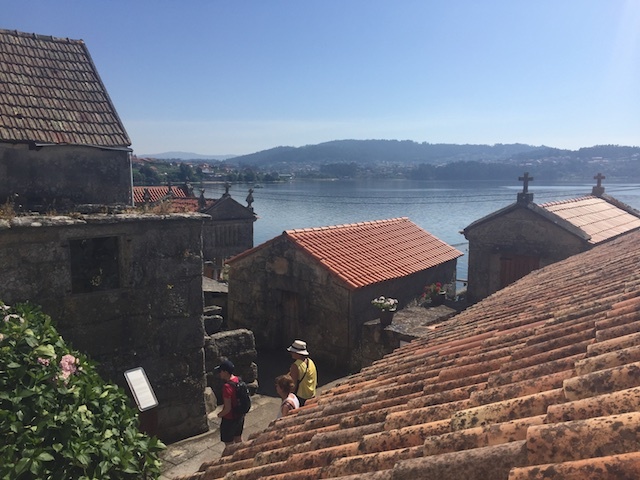 The vast majority of all pilgrims (or their wanna-bees) walk to Santiago to Compostela and leave this city by air without even having seen the beautiful fjord-like waters called the Rías of Galicia. 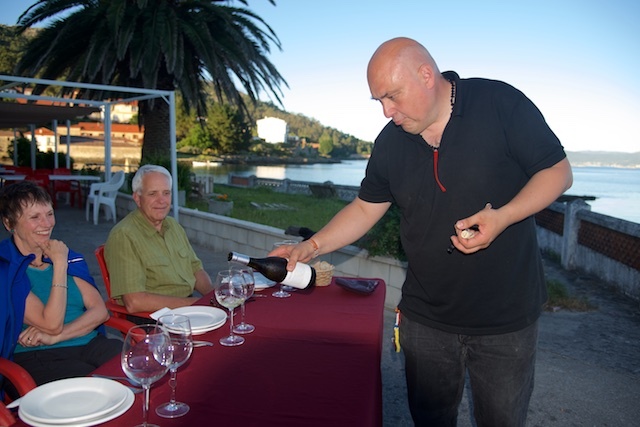 The good news is: It is very easy to fly in and out of Galicia by flying to Santiago do Compostela and then take the special Taxi I have arrangement with, who takes you straight to and from the boat in close-by Portosin. 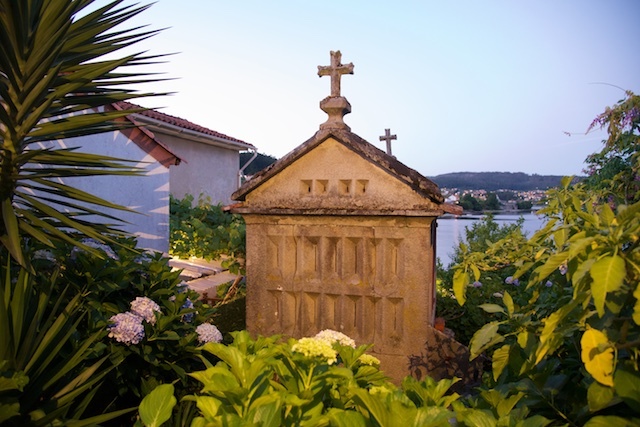 Or why not prolong your stay after or before sailing on Regina Laska to visit Santiago do Compostela? 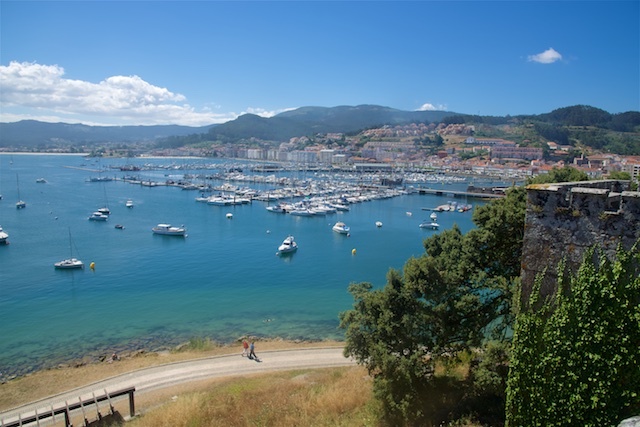 Sailing in Galicia can offer anything from sail training to just relaxing exploration of the Rías, enjoying the good atmosphere, the good food, the nature and the occasional Atlantic Swell outside the Rías. 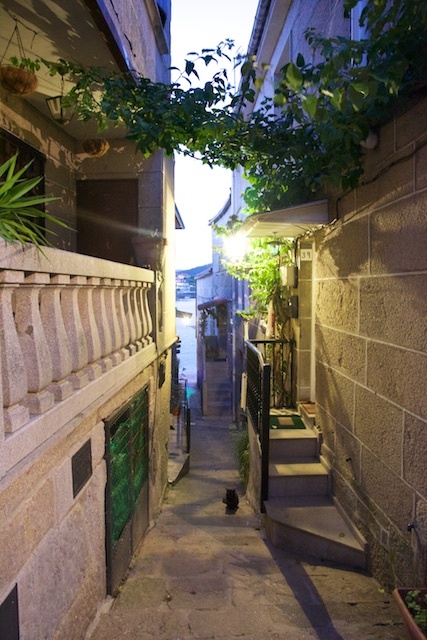 Air temperatures are not too high, even during summer, cooling down every night. It is never too hot and wonderful cool to sleep. Water temperatures mean you have to have viking flesh to jump in since it can’t be considered warm. 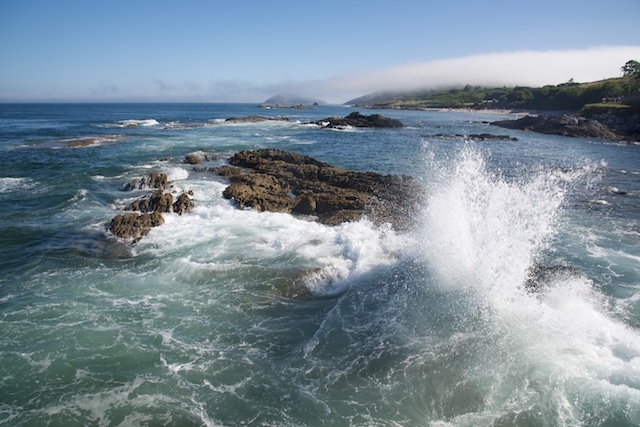 The Atlantic water temperature is mainly around 16-17 degrees C. If you are lucky, it can rise to some 20-22 degrees C inside the Rías. 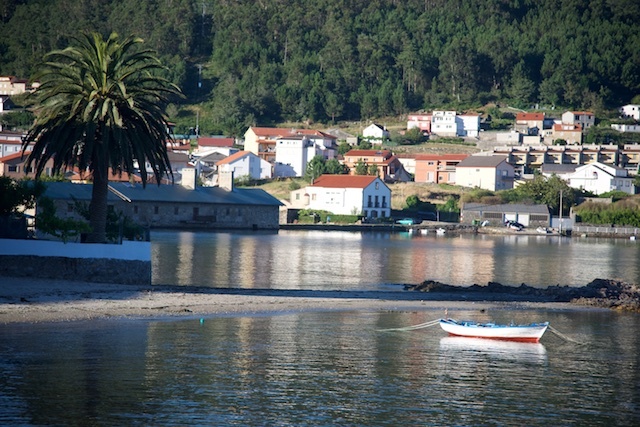 It is a relaxing leg where we also can visit the islands consisting of the natural reserve of Galicia. 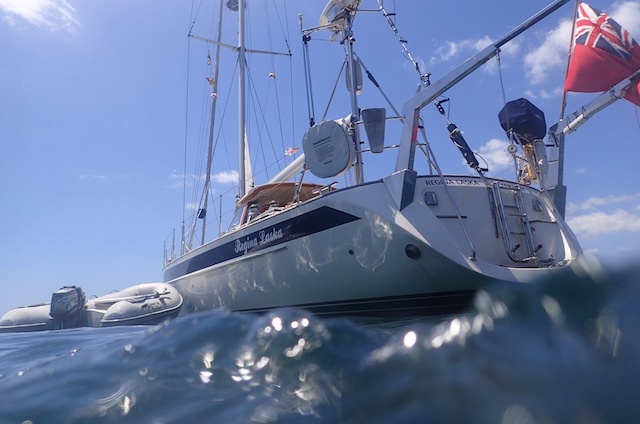 Regina Laska has a permit to enter and anchor and visit the islands since safety and competence of the skipper fulfils the necessary requirements. 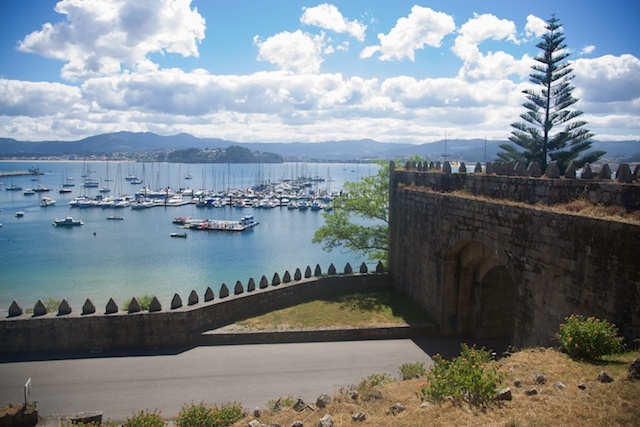 We will sail down to Baiona (mainly with the predominantly northerly winds from behind) and then tack back against the prevailing winds to Portosin. 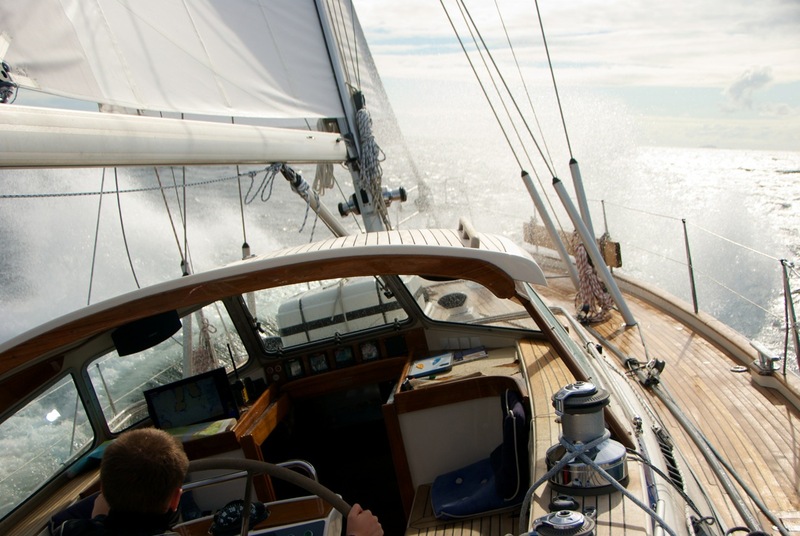 It’s just a perfect sailing leg for a relaxed week! 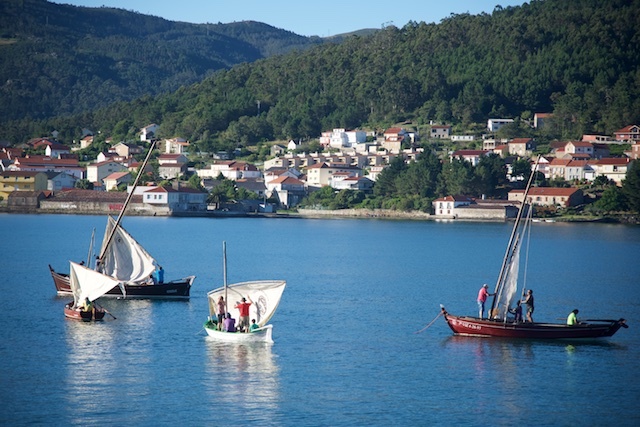 The below pictures taken during previous years of sailing in Galicia speak for themselves. 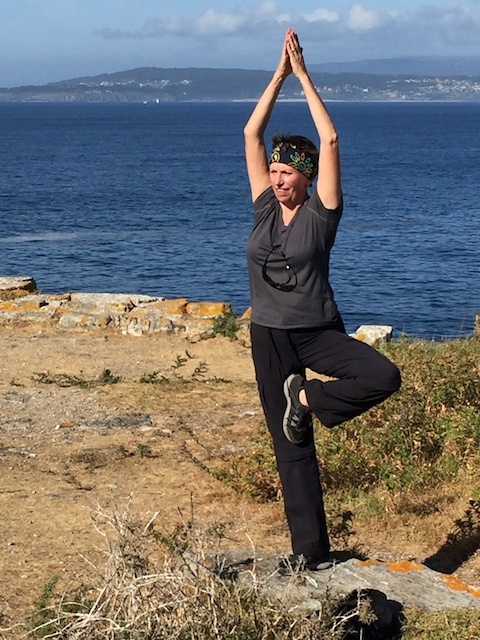 Looking out from the empty beach of Portosin. 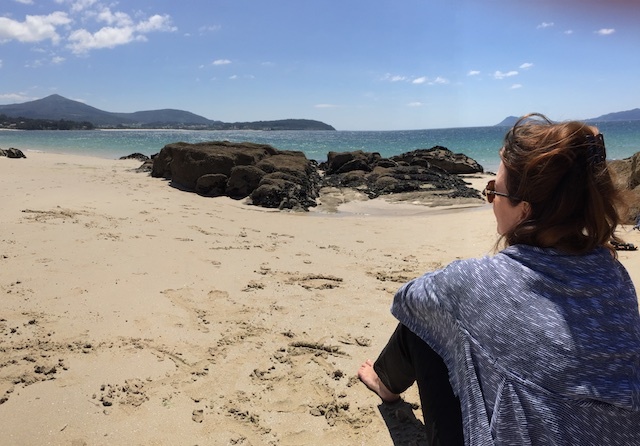 Not many tourists in Galicia. Some brave children going into the fresh water. Fantastic scenery of Illa Ons, one of the National Parks we can visit. 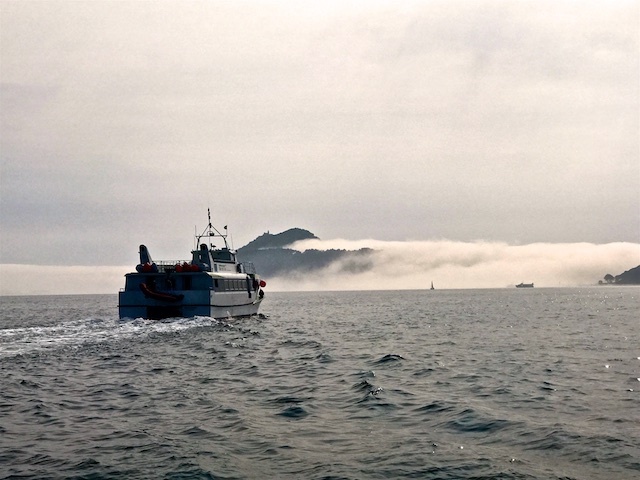 A ferry on route into the fog of Isla Cíes. 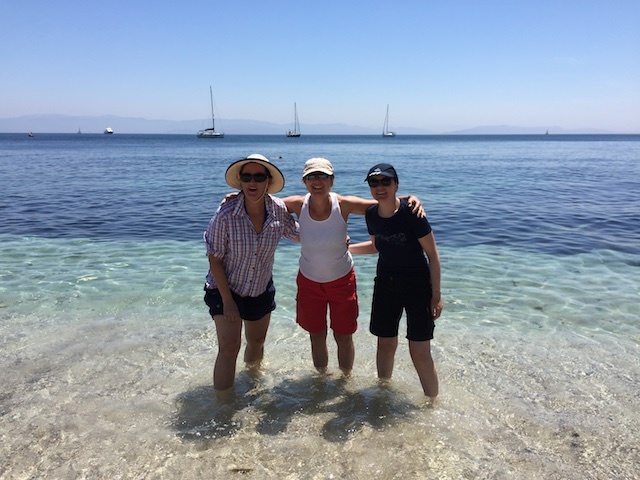 Ladies on the all-women sail training course cooling down in the crystal clear Atlantic water. 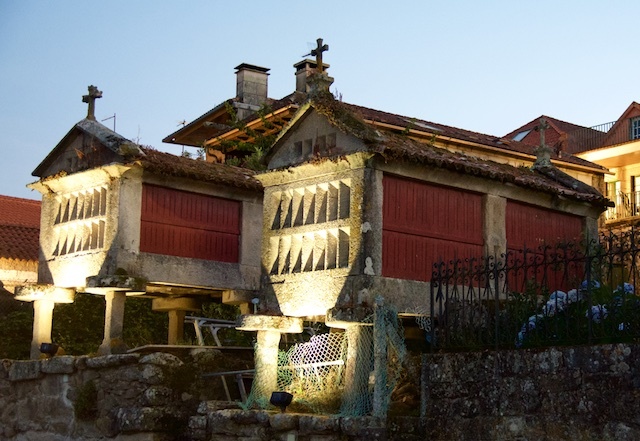 Visiting Combarro in Ría de Pontevedra. We are eating out often, since it is inexpensive, fresh and great fish!